Finicum Family Files Wrongful Death Lawsuit Against FBI, BLM, Oregon State Police, Etc. I’m surprised the footage showing his murder by the feds wasn’t scrubbed immediately that day. The world got to see how the feds really operate! Finding the right jury will be the key. The family of Oregon occupation spokesman Robert “LaVoy” Finicum filed a wrongful death lawsuit in federal court against the United States, the FBI, Oregon State Police, the U.S. Bureau of Land Management, Oregon’s governor and others on the second anniversary of his death. YouTube: The real HANDS UP don’t shoot! The complaint claims Finicum was shot “assassination style” by “one or more militarized officers of the Oregon State Police and/or FBI” as he was trying to drive “across the county border” to seek the protection of Grant County Sheriff Glenn Palmer on Jan. 26, 2016. “Finicum was deliberately executed by a pre-planned government ambush after he had exited his vehicle with his hands up,” the complaint says. Portland attorney Lisa Ludwig with Utah lawyer J. Morgan Philpot filed the complaint at 12:03 a.m. Friday in U.S. District Court in Pendleton on behalf of the Finicum family. It seeks more than $5 million in damages for Finicum’s wife, Jeanette Finicum, and each of their 12 children and his estate. It contends the defendants engaged in “widespread and systemic corruption” and the “premeditated targeting” of Finicum and others because of his association with Nevada cattleman Cliven Bundy and Bundy family members, his membership in the Church of Jesus Christ of the Latter-Day Saints and his political views and activism critical of federal land management and the U.S. Bureau of Land Management. 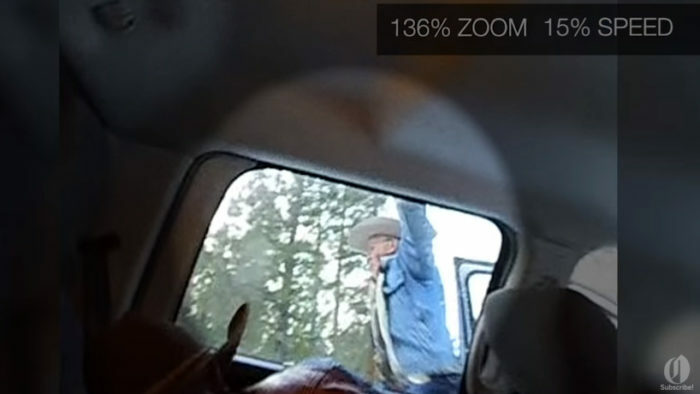 The suit contends police and the FBI set up a “Deadman’s roadblock” on rural U.S. 395 where Finicum was shot and killed. It accuses the FBI, Oregon State Police and Bureau of Land Management of negligence and failing to properly train and supervise its officers. Read more at Oregon Live. YouTube: The real HANDS UP don't shoot!